Storemore Equipment Locker 90: The Storemore equipment Locker is ideal for indoor or outdoor use and is a practical storage solution for garden tools and equipment. 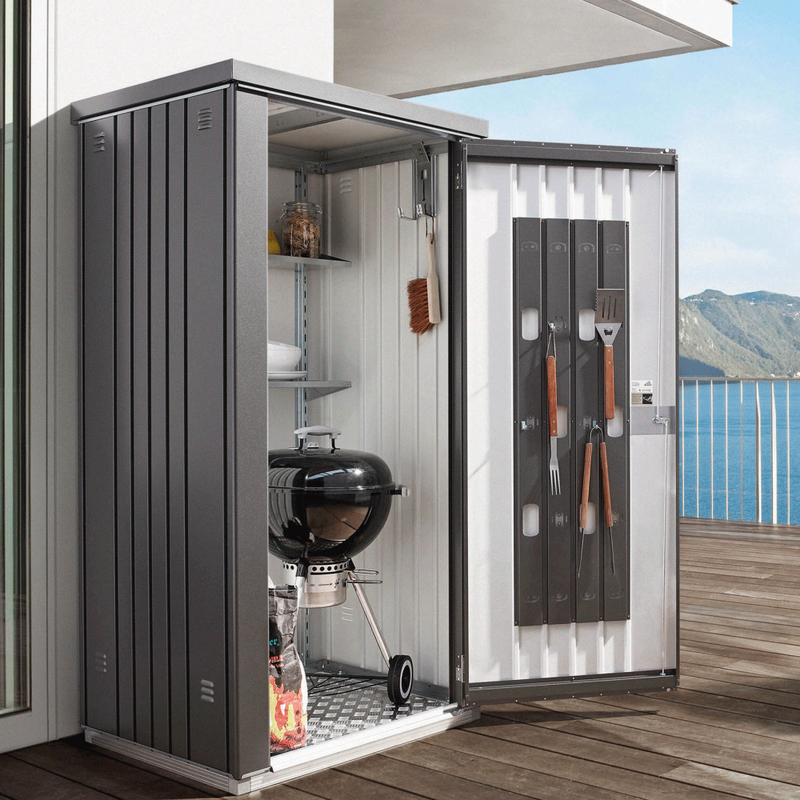 The Equipment Locker is ideal to keep a barbecue and associated accessories safe over the winter. The heavy duty galvanised steel ensures that the unit is robust and remains rust free. The Storemore Locker has a 2 way lock to prevent unauthorised access to the storage area and the integrated shelf and tool hanger are useful to organise your equipment.